My latest coffee article has been published. 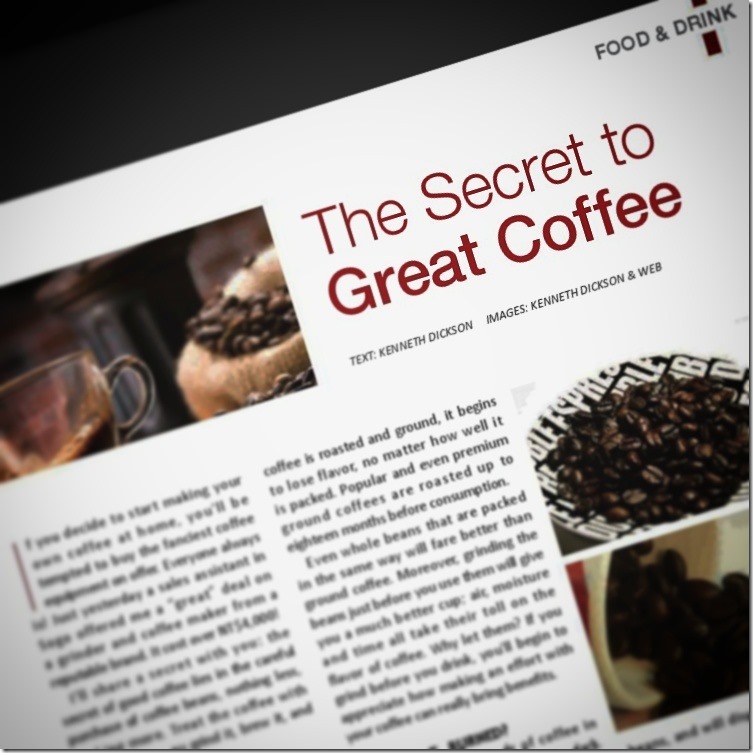 If you’d like to find out the secrets to making your coffee great, check out the article on pg. 27 of the Community Center’s Centered Magazine. Enjoy! But don’t forget to make some great coffee! Turkish Coffee: Found in Supermarket but no idea how to make it! Soda & Espresso: Only in Scotland! Graphic: How to Make the Perfect Espresso Shot!